We are delighted to announce that Naman P. Ahuja, Professor of Art History at Jawaharlal Nehru University, New Delhi, will give this year’s Gandhara Connections Lecture. “In an age of diasporas, we often think about how a single image can be made to communicate to diverse people. What can the art of Gandhara tell us? 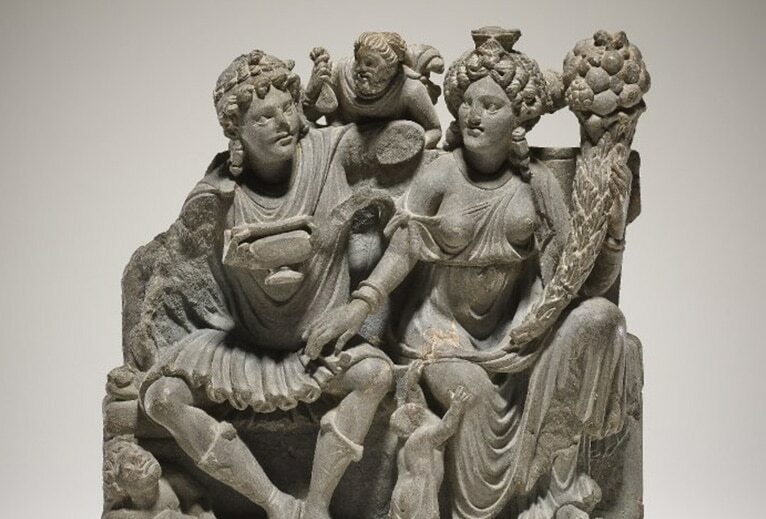 In an extraordinary visual effort to bring together diverse religious communities, the Buddhist goddess, Hariti, in Gandhara began to be shown with children that came from Egypt, Iran, Lebanon, Syria, Greece and mainland India. Looked at from the perspective of these diverse children, she might not actually have been the Buddhist Hariti to them all. While the Greeks could think of her as Demeter, the Egyptians probably regarded her as Isis, and the Hindus as a matrika. Similarly, an image for the Bodhisattva Vajrapani was created in such a way that he could be read either as the Zoroastrian Behram, or the Roman Hercules. Indra, doubled up as Zeus; Shiva as Oesho and Dionysus.